Polish Hound: Mail-time: Zoya Seashells & Sunsets for Summer 2016! Hey nail friends! I'm loving that this week is shorter than normal! How about you? 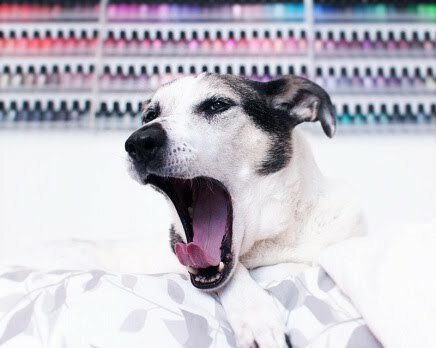 Today, Ham and I have a sweet mail-time post for you featuring the Zoya Seashells and Sunsets 2016 collections! The two new lipsticks Zoya has released alongside these sets are included too! ...although it looks like he only has two legs here! "Surely you have some carrots for me?" The second collection, Seashells, contains 6 new PixieDust finish shades! Ready to take a look at the two new lipsticks? These are both just one swipe with medium pressure. They are both creamy and pigmented! Mellie is a bright blue-based red-magenta, and Candy is a very dark, cool-toned, saturated pink. I attempted lip swatches of these, but haven't figured out a great way to get sharp/ well-lit photos of my lips, haha! I will try again, but we'll see! Of these two, Mellie is more "me," but I'm not really a lipstick wearer in general. These are both creme finishes though, and feel creamy and comfortable on the lips. As a reminder, or in case you missed it, I'm currently running a giveaway for these collections! One lucky Zoya-lover will win both complete Seashells & Sunsets 2016 collections, and there are two additional prizes as well! Swatches are coming- stay tuned!